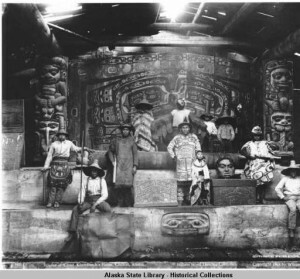 Photo courtesy of the Alaska State Library – Historical Collections. A Tlingit clan has decided that a collection of renowned carvings will be publicly displayed in the village. The decision will hopefully put to rest a generations-old struggle within the clan of whether the carvings should be kept in the village or sold and preserved in museums.